When I think of old school D&D images like the Red Box, light blue dice, crayons, and character sheets come to mind. Specifically the green colored basic sheet and AD&D goldenrod colored sheet. I can still see the eraser hole in the hit point box on my first green sheet. Back in the early 1980s I could not just run off an endless supply of character sheets on my printer. 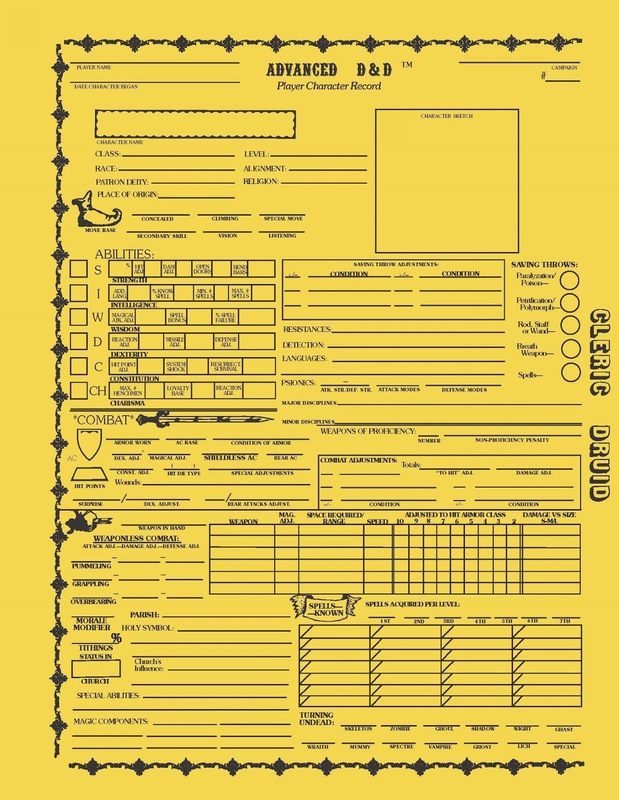 Official character sheets were like gaming group treasure! At one point our supply was so limited everyone just used notebook paper. If your character survived to 3rd level you were permitted to use one of the coveted green sheets. The former became a badge of honor in our little gaming circle. 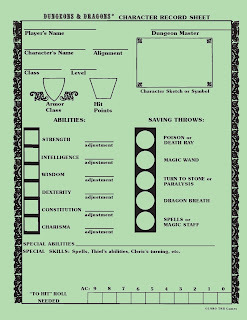 The theme of character sheets adding to player credibility was taken a step further when we moved onto AD&D. I mean come on after all this was ADVANCED D&D we were talking about! 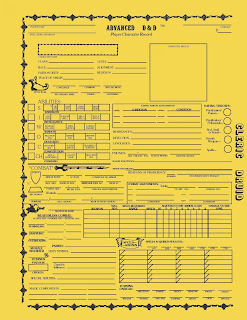 If you had a character on a goldenrod sheet that meant you were clearly a veteran player. At ten or eleven years old most of us could not even navigate the Gygaxian prose of the AD&D books. When I think back to all of this now it gives me a good chuckle. But alas, that was the logic of a bunch of kids learning the game together over what seemed like an endless summer. 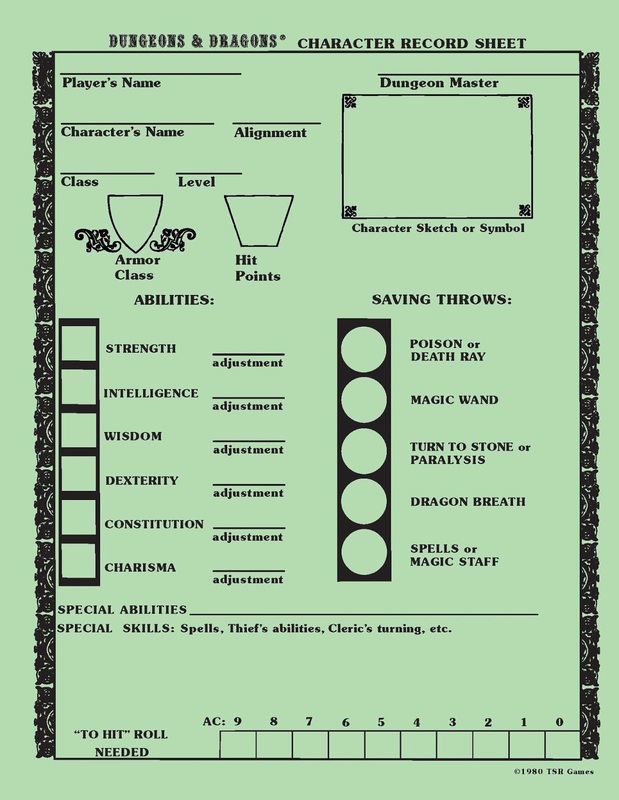 So thinking back on this Throwback Thursday which of the old school character sheets are your favorite?